Hi, I’m Zazeh the owner of A Total Approach. I am a Certified Emotion Code & Body Code Practitioner mixed with qualifications within the Wellness & Weight Management arena as well as a Personal Trainer. So I’m pretty sure I’m able to help you one way or another when it comes to your health and wellness goals. Before we jump into any routine, let me tell you a little more about me. Throughout my entire life, I have always been curious about people and health. I've always been on the search for “the best results”. I've tried everything, you name it I tried it! If it was NEW, IMPROVED or GUARANTEED TO DO THIS OR THAT, I tried it! Until it became blindingly obvious ......Moderation! However, moderation today isn't as simple as it seems. There are too many outside influences that allow us to develop reasons to stay the way we are. I’m a true believer in taking preventative measures, rather than react to life. Why wait until you have osteoporosis, cholesterol or diabetes? Why not make the change today to avoid negative outcomes of tomorrow? I've now dedicated my life to giving support and empowerment to anyone who wants to change their life. Click here to view the results achieved by my clients. I’m always learning and some of these clients are my best teachers. At A Total Approach I work with you to help you meet your specific health, wellness and fitness needs. Nothing I put forward to you hasn't already been researched, tried and tested by me. My SOLE purpose is getting the best results for my clients using a holistic approach. The Emotion/Body Code is energy healing at its BEST! 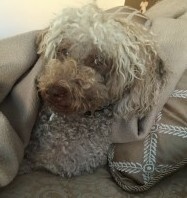 Tried, tested and proof of amazing outcomes on clients, myself, my beautiful pup Theodore (yes we work on animals too!) as well as family and friends, The Body Code & The Emotion Code will enable you to take your life back! The latest form of energy healing techniques in finding and releasing emotional energies that causes stress, anxiety, lost love as well as pain and disease. I’m very much an open book and what you see is what you get. I love helping my clients achieve their goals and love watching them transform their lives. And most of all, I would love to meet you. Are YOU ready for an A Total Approach to health and wellness? Call, email or contact me now! Sometimes in order to achieve sustainable results, creating new health habits is not enough. If you are not progressing as fast as you would like consider addressing unconscious contributors like thinking and emotions. Kendra Strudwick has a background in nursing and clinical education and for the last 8 years has been supporting people to improve their thinking. She is a professional certified coach, holds master certification in NLP, Hypnosis and NRT and is a member of the neuroleadership institute. 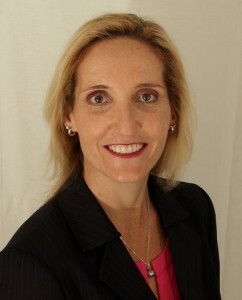 Kendra's practice is based on the latest findings in contemporary neuroscience. She may be the secret weapon you need! Losing weight will bring you an whole new sense of well being and a desire to take your image to the next level. As the need for an whole new wardrobe and a more gorgeous you arises you may want to talk to an Image Consultant. 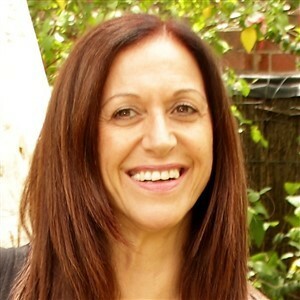 Ros Holden is a colour image stylist and has been working in the industry for almost a decade. 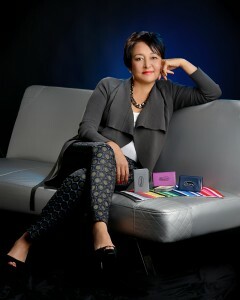 She has transformed 1000’s of women and specializes in colour therapy for the ultimate image transformation. She Offers 1 on 1 personal image packages as well as group and corporate packages. 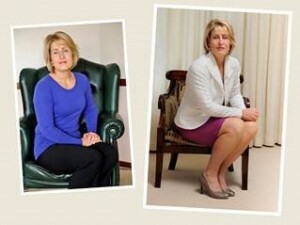 Ros has worked with thousands of clients to totally transform them from top to toe. She promises to share with you the secrets about looking younger, more attractive and slimmer that all the other experts are not telling you. If you truly want to be transformed Ros will show the way to do that. You can change anything if you want! Simply call, email or complete out "Contact Us" form and Zazeh will put you in touch with Ros. it’s also easy to see artist’s that want to see the world in Technicolor. The team at Invisible Ink sees the combination of these as the optimal reality.